The Euterpe was launched at Ramsey shipyard, Isle Of Man, in 1863. 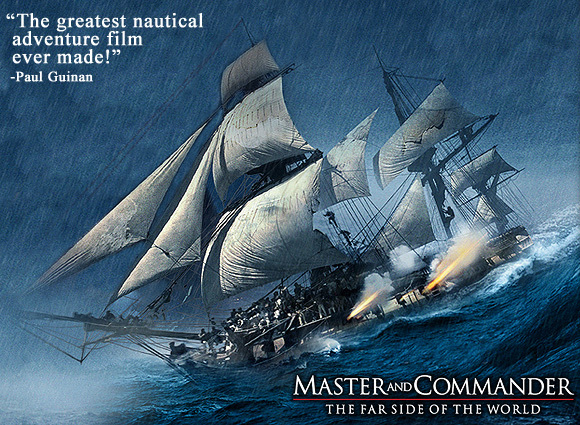 It was renamed Star of India in 1906, and is the oldest square-rigger still sailing. it can be visited by the public. 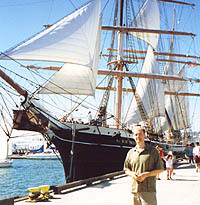 Above: Paul Guinan, an accomplished sailor, navigating the ship around Coronado Island. Below left: Professor Campion's cabin. The sign over the wash basin reads "Fear Not." 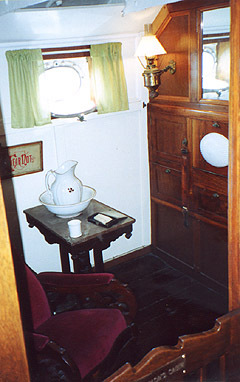 On the lower decks are presentations of the ship's history in the form of models, maps, pictures, and various artifacts. Among them are items from Boilerplate's Antarctic expedition. Named for the Greek goddess of music, the Euterpe was built for service as a merchantman in the Indian jute trade. In the 1870s, she was used as a passenger vessel for immigrants. By the 1890s, she had returned to cargo service. In 1894, Archibald Campion chartered the vessel for his polar expedition, as it had an ideal combination of quarters and cargo holds for his expedition. The ship's greatest advantage was its iron hull; its disadvantage was the lack of an engine to power it through the ice. Campion brought along a device of his own design to solve this problem. 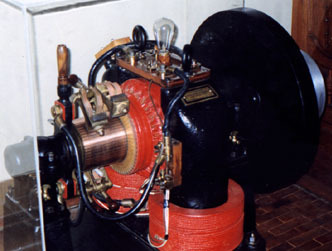 Above left: Campion's electric motor featured different attachments and served a wide range of purposes, from driving the sailing ship through ice floes to providing light and heat. 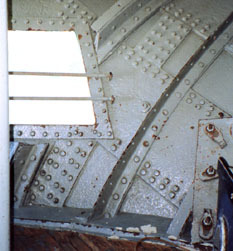 Above right: One of two portholes cut into the ship's iron stern, above the waterline, so that the motor could be fitted to a propellerlike attachment. After the Campion expedititon, the ship's owners took advantage of the new stern portholes and utilized them for loading timber. For several years, the Euterpe plied the trans-Pacific trade, carrying loads of Puget Sound lumber. 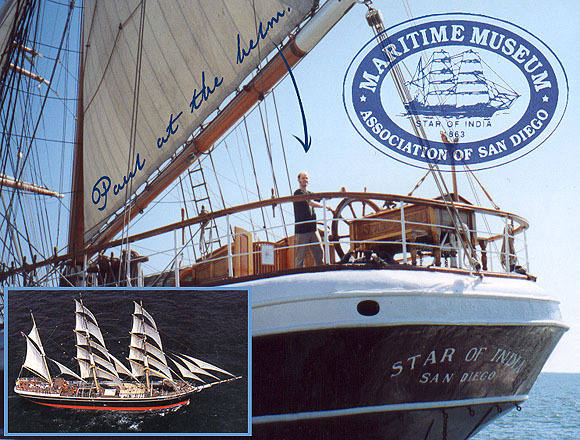 In 1901, she was sold to Alaskan packers who rigged her down to a bark and later renamed her Star of India. She was eventually retired in 1923, sold to San Diegans in 1926 to become a museum, and registered as a historical landmark in 1966. Restoration was finished in 1976, and the 278-foot bark sailed out of port for the first time in 50 years. As the oldest active sailing vessel in the world, she is not only the best-preserved example of a shipwright's art, but also a living tribute to the Great Age of Sail. A Very Special Thanks to the San Diego Maritime Museum! I visit San Diego once a year to attend the nation's biggest comic book convention. Each time, I make a pilgrimage to the Star of India. My wife Anina is always amused by how excited I get when passing the bark en route from the airport to our hotel. During our last visit, she begged off on accompanying me, as she had seen the vessel too many times! We at the Maritime Museum of San Diego were astonished to learn so many new facts about the history of our ship Star of India (Euterpe) on your website www.bigredhair.com/boilerplate/arctic/euterpe.html. Though we had a good laugh about some of the photo attributions (it's really a well-done hoax, and fooled me at first, since I found it while searching "Euterpe" sites) we are troubled by the degree to which it will mislead the public--it's been hard enough to break old legends about the ship having had a past as a pirate and slaver! Please consider making some sort of clarification on your site which will help hapless web-searchers realize that it is a hoax! Since one of my intentions is to amuse, my audience's having a good laugh means my work is successful! My other intent is to interest people in history. Getting someone to pick up a book on maritime history, or visit a museum, is my greatest reward. As to clarification of said hoax, none other than U.S. News & World Report settled the matter in a cover article that featured Boilerplate. Read it (including a mention of the Antarctic expedition) HERE. All contents of the Boilerplate site are © 2000, 2009 Paul Guinan.